Match.com only offers BACS as a payout method. Match.com cashback can be earned simply by clicking through to the merchant and shopping as normal. Match.com Cashback is available through TopCashback on genuine, tracked transactions completed immediately and wholly online. This applies to new subscriptions only, not renewals. To qualify for FREE registration cashback the offer applies to new customers only residing in the UK. Cashback is only available on sign up and one purchase per year. Take out a subscription to the UK's best known online dating site, which has been the starting point for hundreds of thousands of relationships, find love and earn yourself some cashback thanks to our Match.com discounts. You are sure to find more like-minded people to meet on Match.com than anywhere else as it is designed with the specific aim of providing members with the best chance of falling in love with that special someone. Thanks to its advanced search functionality, you will discover more ways in which to meet new people, while it will allow you to find what you are looking for, if you know, or try something new. You can use factors like appearance, location, personality traits and interests to filter matches if you have specific requirements in these areas, while they allow you to take your time when it comes to communicating with other members and developing relationships thanks to facilities such as internal email and instant messenger, though their customer care team are available 24/7 should you need any support. Join for free and let them guide you through the process of completing your online profile and getting started with dating online. 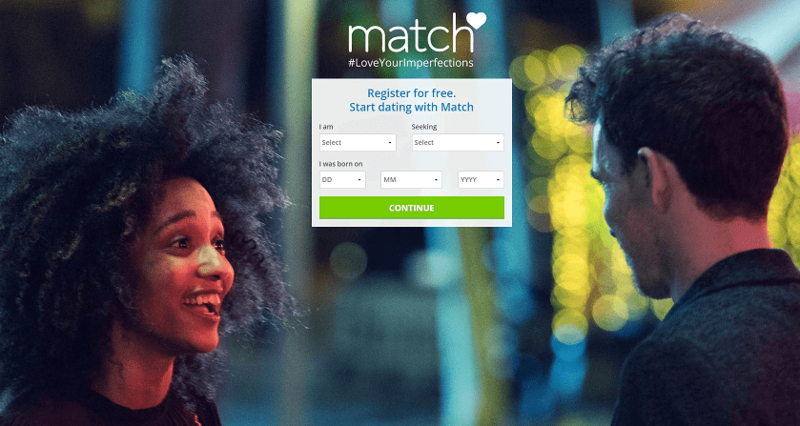 If you are new to online dating and are not sure where to begin, their free trial will provide you with a three-day subscription to Match.com, after which there is no commitment to continue with a paid membership. If you are not already a TopCashback member, use the form at the bottom of this page to sign up and earn cashback if you do decide to take out a subscription. Half of members say they met someone at a Match.com event. Whether you attend one of their drinks nights, cocktail classes, outdoor activities, tastings, dining evenings, arts & culture nights or special events, you can be sure there will be lots of single men and women there, while you can also invite up to three friends to provide you with some support and make you feel more relaxed. Search free and paid events like bowling, speed dating, power boating or theatre nights by area, whether you live in London, Liverpool, Cardiff or Brighton. If you are unsure whether to attend one of their events, you can also browse photo and video galleries, as well as read what members have said about previous activities. As well as providing you with the opportunity to browse the profiles of other members, you will also find helpful advice and dating tips. This ranges from dating dos and don'ts and help when it comes to compiling the ideal first email to guidance on how to break the ice on a first date and how soon you should call afterwards. You can also read articles regarding how to get the most out of Match.com, how to select the perfect profile photo and how to grab the attention of potential matches through your summary. Once you are completely happy with your profile, they will show you how to search for and discover potential matches and give you tips on the best way of getting in touch with someone you are interesting in getting to know better. When it comes to arranging a date, Match.com will also highlight some dos and don'ts which are designed to keep you safe. Download the free Match.com dating app for your iOS, Android or Windows device and browse photos and profiles of singles on your mobile phone. Enhance your online dating experience thanks to exclusive smartphone features and make contact with potential matches, whether you are looking for a man or a woman. Match.com is the number one destination for online dating, with more dates, more relationships and more marriages than any other dating or personal site. With thousands of members, advanced search functionality and a range of subscription offers, they are committed to giving their users the best possible online dating experience. Match.com is the UK's best known dating site and offers more ways to meet new people. Find exactly what you are looking for or try something new. Their advanced search features allow you to filter matches by location, appearance, interests and personality traits. Get tips and advice, and meet members near you at their singles events. Register or subscribe and earn great cashback rewards with these hot offers.